SMARTHOMEWORKS now feature KNX, high-quality home and building control used as a technical specification by Standards Australia. The experts at SMARTHOMEWORKS are so highly revered and trusted within the property development community because they keep their finger on the pulse. Technology is our business, and ensuring that we offer our customers the latest releases to help automate their lives is our main priority. This is why we are proud to offer KNX, the world’s only open protocol by worldwide standards. KNX uses strict testing standards and protocols to ensure all of their products are guaranteed to be interoperable, regardless of the manufacturer and product type. KNX Protocol has recently been adopted by Standards Australia as a Technical Specification, as well as working with some of the world’s leading electrical brands. KNX Australia was put together by a group of manufacturers, integrators, associations and training establishments to promote the KNX standard in the Australian market. Governed by an elected board, this collective of active KNX advocates focuses on a standard Code of Conduct to uphold the regulations now adopted as an Australian Technical Standard by Standards Australia. With this formal recognition, customers can be assured about the quality of standard KNX brings to their project. If you have any questions about KNX, our staff are always available to have a chat with you. The options for smart homes are growing, which is why manufacturer-based proprietary protocols are quickly becoming outdated, paving the way for a system like KNX. As an open worldwide standard, over 260 manufacturers are creating products that interoperate to produce far more choices for consumers and a more seamless solution. KNX will make your project much more straightforward as it offers everything from lighting controls to a complete solution for your building control system. • Interoperability and interworking of products. • Choice and flexibility with ongoing product development. KNX is an open protocol, which broadens your options and does not restrict you to using a limited range of elements, such as light switches, as other systems do. Light switches, in particular, have a significant variety of options to suit your project and taste. The key here is that KNX variety and a broader range of products. KNX is an open standard, which means smart home devices can communicate and work with each other. Scalable from small homes to large apartment complexes, KNX manages devices from lighting, blinds, and shutters, to HVAC, security systems, energy management, audio and video, white goods, displays, remote controls and more. As Australia and New Zealand begin to achieve standardisation in intelligent building, KNX becomes even more critical. KNX allows for unparalleled interoperability and communication ability between various products, along with independence from any hardware and software technology. This makes the integration into existing system landscapes extremely possible. Recognition as a technical specification not just in Australia, but by international standards is the highest distinction for technological innovations. KNX is the only recognised standard in the Chinese smart building market for home and building automation and a market leader in Europe and the Middle Kingdom. KNX is working in collaboration with the National Electrical and Communications Association (NECA) in Australia with the combined goal of compatible platforms across the electrical industry. NECA is the main body of the electrical and communications industry in Australia, and together with KNX, they aim to help clients find the best products and technologies with total compatibility between manufacturers. This is just another way that KNX’s manufacturer-independent open protocol converges solution in home and building automation to a single platform with an international standard. The interoperable KNX products on offer are growing daily to simplify the complexities and varieties in smart home electrical installation. 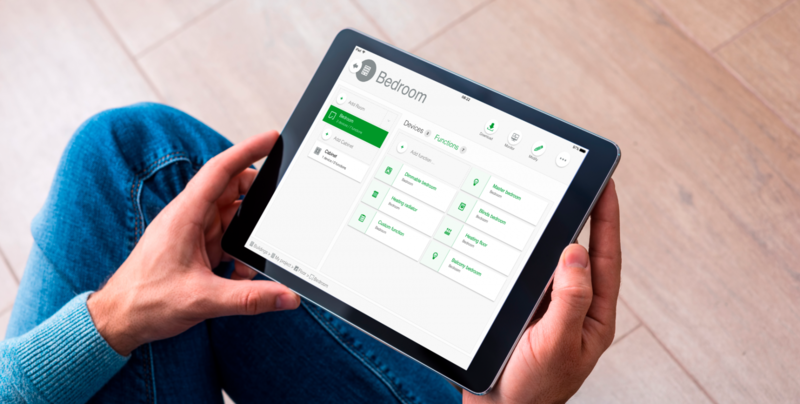 SMARTHOMEWORKS have been at the forefront of smart home technologies for more than two decades, so a focus on the progress on KNX is a natural inclusion into what we do. 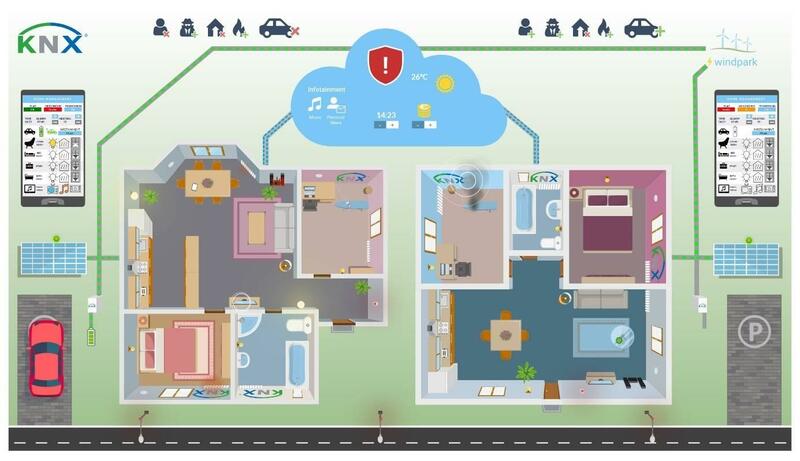 The SMARTHOMEWORKS process is already an industry standard for clarity and transparency, and with KNX we can extend this to the natural step of integration between a wide variety of products and systems. Our team of experienced industry professionals is always able to provide a comprehensive service to our clients, so if you have any further questions about KNX, feel free to contact us today.